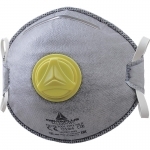 M1304V respirator. 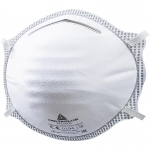 FFP3 four panels flat fold dust respirator. 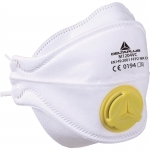 Effective protection against fine solid or liquid aerosol particles of dust, mist or fumes. 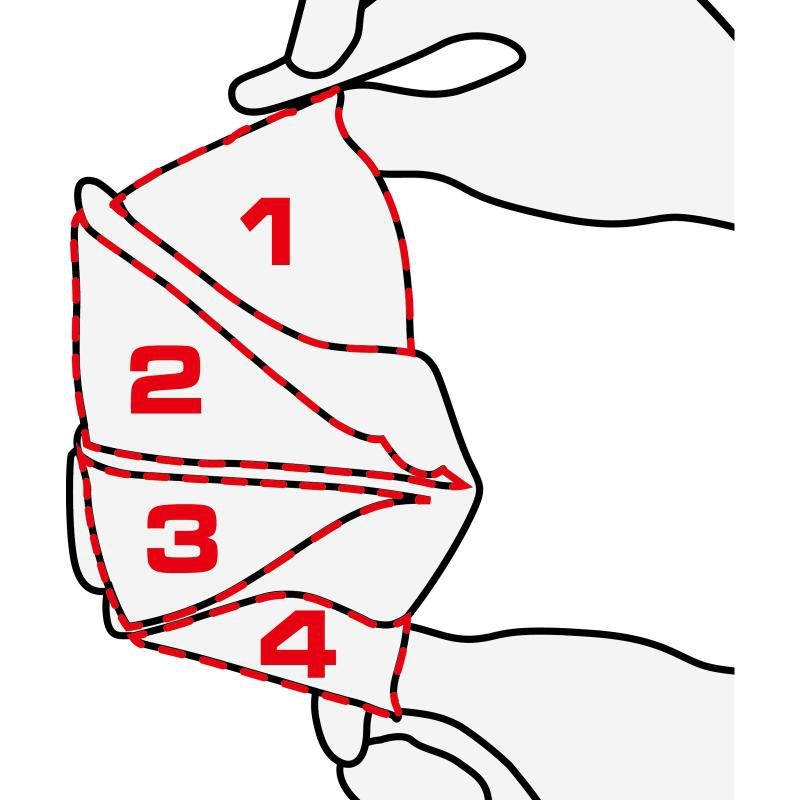 Hygienic convenient storage before use thanks to individual packaging and four panels flat construction. 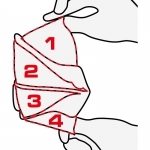 The respirator’s folded construction also provides an improved fit to various types of faces. 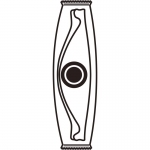 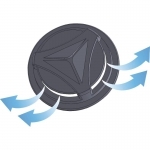 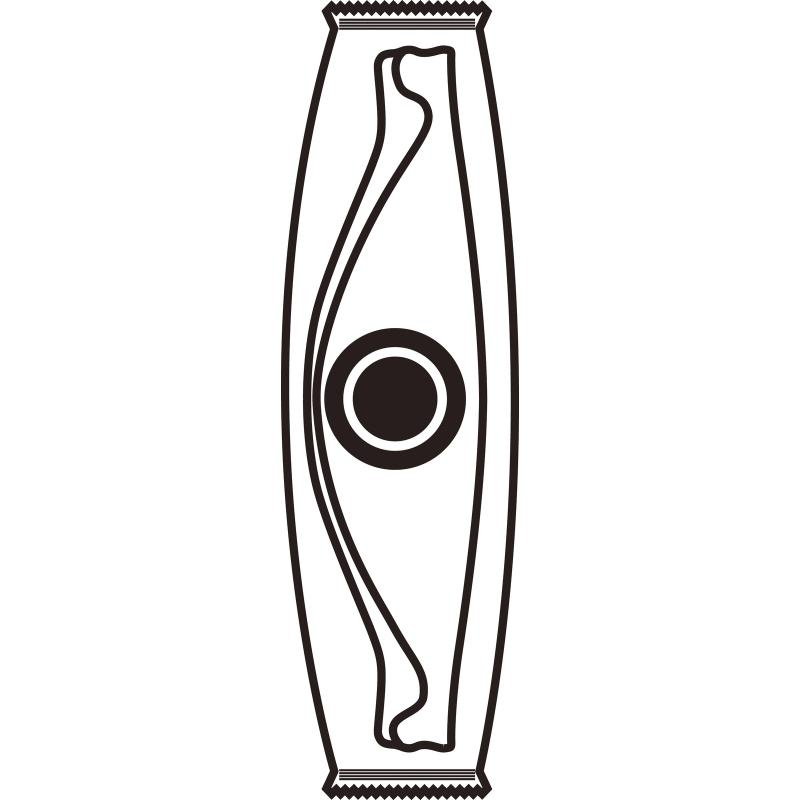 Exhalation valve reduces heat and moisture build-up inside. Soft foam under nose clip. 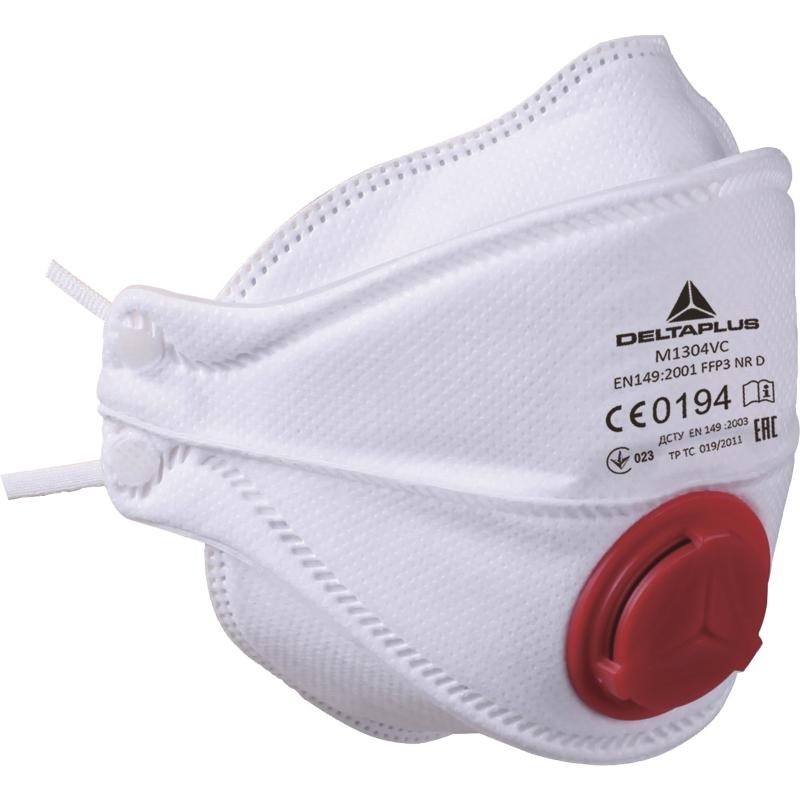 Dolomite optional test to prove the respirator’s effectiveness in very high dust concentrations. 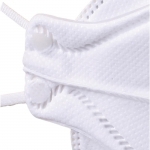 No metallic parts for headbands attachment. Protection level: FFP3 NR D.
EN149:2001+A1:2009 Filtering half-masks against particles.